Move your career into high gear... visit WITI 4 Hire Now! Ready for a change? Let opportunity find you... visit WITI 4 Hire Today! Welcome to WITI Strategist's inaugural column on developing global leadership skills. This column is dedicated to those that recognize that the world has changed and either have adapted or are ready to. Globalization, sophisticated technologies, downsizing, outsourcing, astounding productivity expectations and the retirement wave are just some of the changes and trends profoundly impacting work as we know it. In this column we will discuss how to prepare for the impact on your company and your career, and those strategies and tactics you and others in your company can use to develop the highest value career, skill set and mind set for the future economy. Without a Mission Statement for your life and your career, you are traveling without a plan or a ruler to measure your choices by. You may not even know what you "really" want. What is your mission - what is your purpose? Spending the time to get total clarity around this and to create a Mission Statement that excites and empowers you, is one of the most powerful gifts you can give yourself. Get Your Company's Ad in the Next Issue of WITI Savvy! Space Close for the Next Issue of WITI SAVVY is February 13th, so contact a WITI representative today for current sponsorship rates and availability. 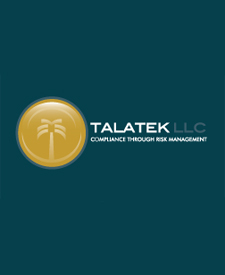 TalaTek provides high-level, IT Risk Management and Network Engineering consulting services with an integrated business approach. Which means that our difference is how we combine a common-sense security approach with practical risk management solutions that are both effective and cost-conscious. But it's really our standards that most distinctly set us apart from other firms offering similar services. We won't do anything that we don't think is right or required. Many firms will always "give the customer what they want." We insist on only giving customers what they need. Save Money on Your Car Insurance with GEICO! As a WITI Member, you have an exciting opportunity to get a great value on car insurance. Through a special partnership with GEICO, one of the nation's largest auto insurers, you could have access to the lowest insurance rates in the market. Look below tolearn more and apply. New customers report average annual savings over $500. Special member discount; 8% in most states! Quick and convenient claim service. Save time and money by managing your policy online. A+ Service available 24 hours a day, 365 days a year. As part of our commitment to identifying the best programs and partnerships that provide connections, resources, and opportunities to our members, we are excited to introduce you to our newest partner, Blue Chip Expert. Blue Chip Expert is a full service agency specializing in high-caliber contract talent. To learn more about Blue Chip Expert and to register at no cost, click here! It's time to be heard and be counted! Women Impacting Public Policy (WIPP) is conducting its Annual WIPP Membership Survey and your participation is critically important. This survey allows us to speak authoritatively on your behalf with Members of Congress, key officials in the White House, and renowned national reporters. Many thanks to our affiliate organizations who contributed to the survey content. When the question is, "What do women in business want?" the annual survey lets WIPP answer with the greatest impact. And "impact" is what it's all about: Women Impacting Public Policy. Please take a few minutes and complete the survey linked below. It covers a variety of policy issues such as taxes, procurement, access to capital, energy, and healthcare and allows you to let us know what issues are important to you. All surveys are confidential and must be completed and submitted by February 5, 2007. Survey results will be posted on our website at www.WIPP.org. Click Here to take the WIPP 2007 Annual Issue Survey!